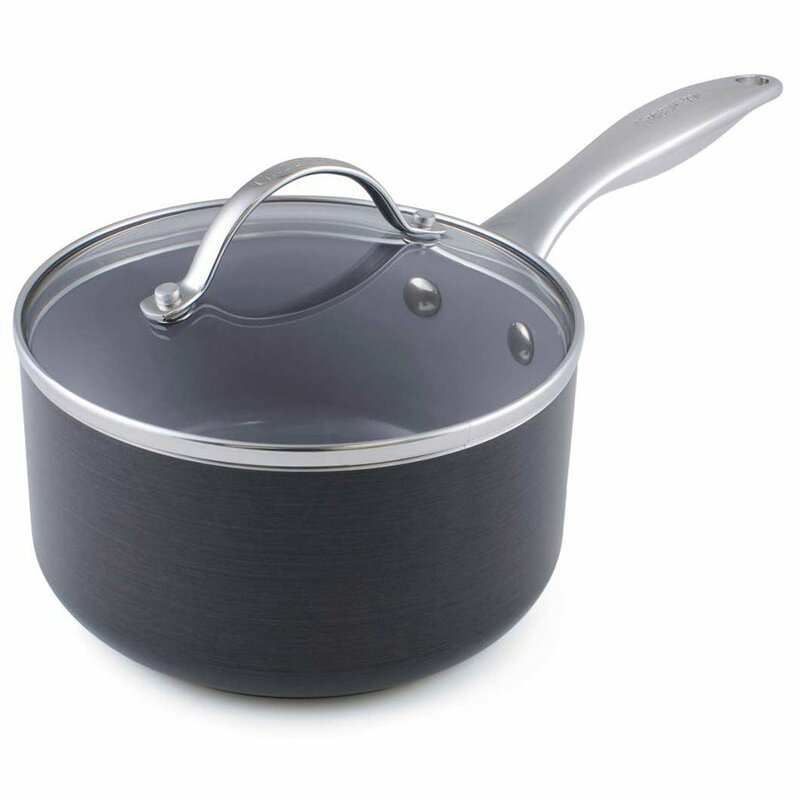 This stylishly and ergonomically designed saucepan with removable lid induction compatible and made with a heavy-duty grey aluminium body, which is great for easy cleaning. Its Thermolon™ non-stick coating is better at conducting heat than typical coatings and includes no pollutants or toxic chemicals so it is perfectly safe and healthy to use. No toxic fumes will be given off; even when the pan is heated up to 450°C/850°F and the coating will not be ruined at all. The stainless steel handle is designed to reduce heat transfer and the oven safe stainless steel handle will give you an extra secure grip as it is riveted. 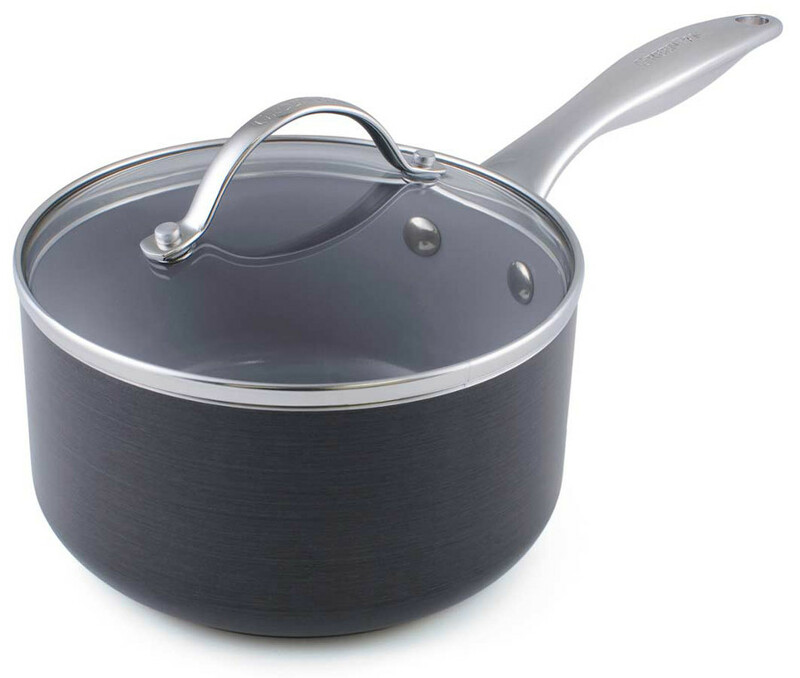 The GreenPan Venice Induction Covered Saucepan - 20cm product ethics are indicated below. To learn more about these product ethics and to see related products, follow the links below. 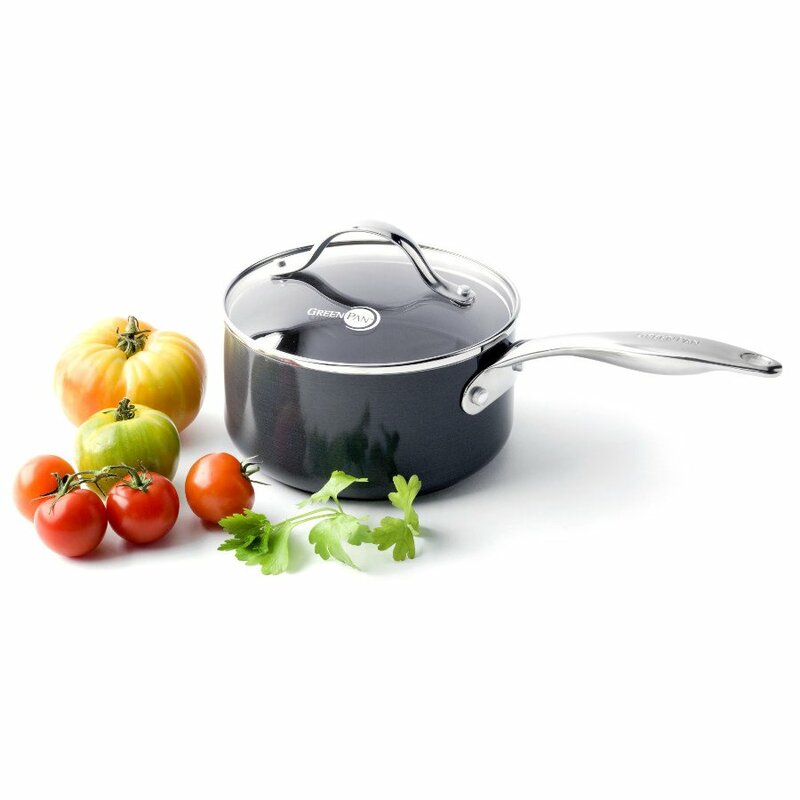 There are currently no questions to display about GreenPan Venice Induction Covered Saucepan - 20cm. 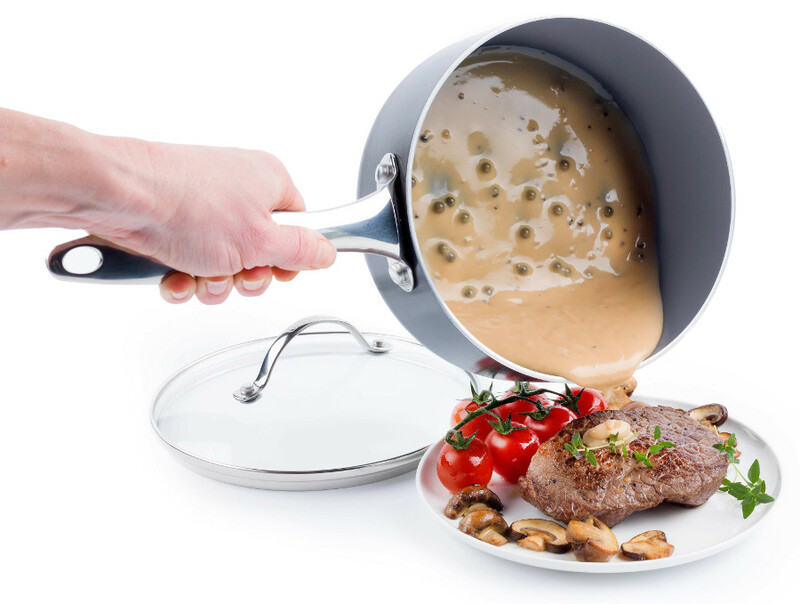 GreenPan produces a stunning range of convenient, sustainable, and high performance cookware. This great quality cookware range is the green alternative to traditional non-stick pans, and each pan is made up of recycled aluminium and stainless steel. 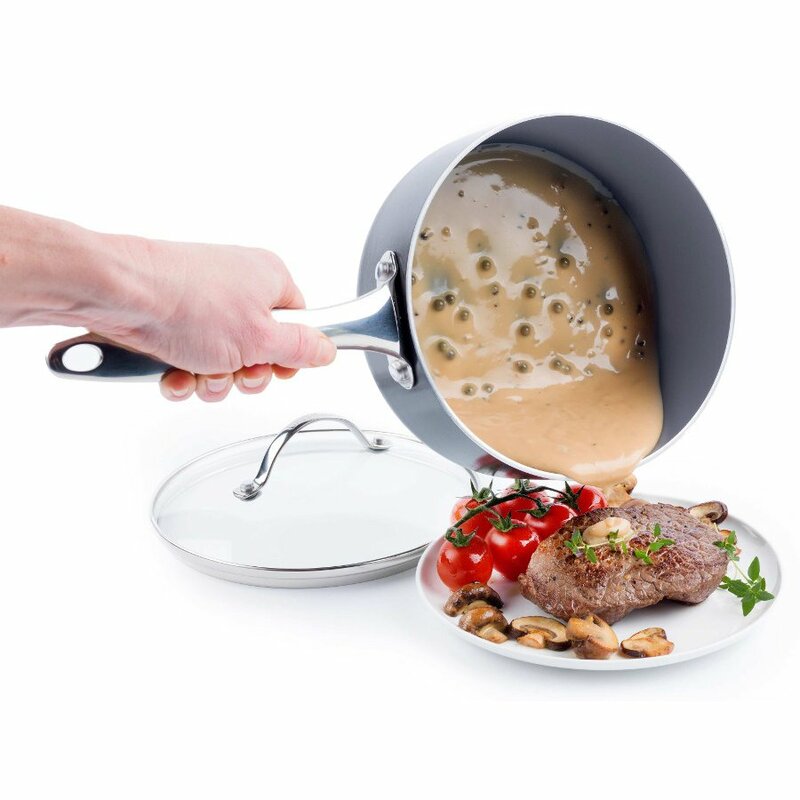 GreenPan uses Thermolon™ non-stick technology which is free from toxic chemicals and persistent pollutants used in regular pans, and doesn’t release harmful chemicals into the air even when heated up to 450°C. For every pan purchased GreenPan will plant a tree in India to help offset carbon emissions further.